For years I have thought of farmer experiments as fundamentally different from scientific trials. Smallholders live from their harvest and after trying an innovation for a while can decide qualitatively if it is useful or not. For the scientists it’s the other way around; the data are the precious material they need to write their papers, while the harvested crop is irrelevant. The scientists need replicable results to show that an innovation will work in different places. But the farmers are less concerned if their results are replicable over a large area; they only want to know if an innovation is helpful in their own fields. 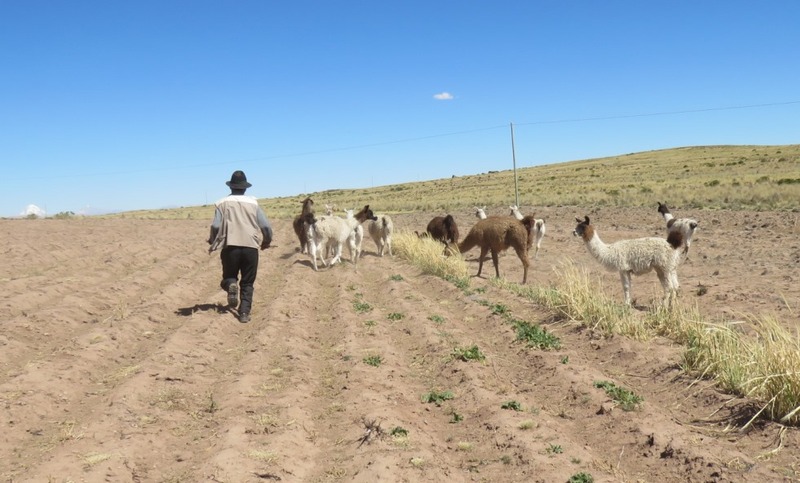 That’s what I thought, anyway, but this past week in La Paz, Bolivia I saw how farmers who work together may become more concerned about doing experiments with replicable results. I was with Prosuco, a small NGO that promotes farmer research. Agronomist Sonia Laura, their research coordinator, introduced me to eight farmer-experimenters from all over the northern Bolivian Altiplano. They had travelled for three or four hours from different points across this cold, arid landscape to meet us in El Alto, the sprawling new city growing on the high plains just above La Paz. 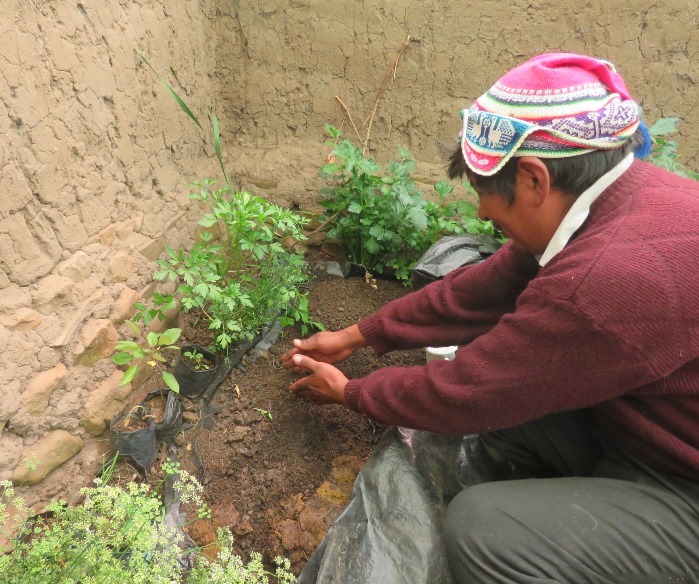 These farmer experimenters call themselves “yapuchiris”, an Aymara word that means master farmer. A network of 70 yapuchiris meets irregularly, exchanging information, conducting experiments and teaching their neighbors new ideas (such as making organic fertilizers, natural pesticides and soil conservation). The day we met in El Alto we discussed future experiments the yapuchiris could do. The president of the group, Miguel Ortega, suggested working on earthworms. He had raised earthworms and used their humus for years to fertilize his greenhouse vegetables. The other yapuchiris were mildly interested, especially because some of them already raised earthworms. They talked about carrying out an experiment on earthworm humus, but were a little vague on what this would be. 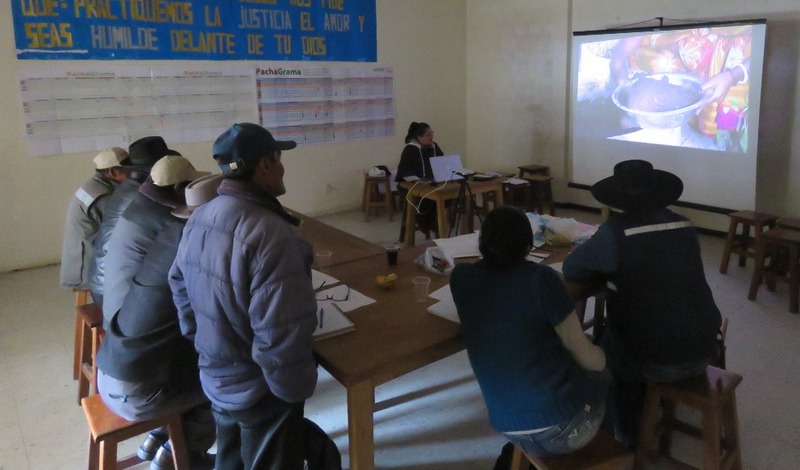 Then Sonia played an Aymara-language version of a video on earthworms, filmed in Bangladesh. A year earlier, Sonia had given the yapuchiris a DVD with this and six other videos in Aymara, Spanish, and Quechua. Some yapuchiris had watched the videos and some had not. At home, don Miguel had watched the one on earthworms four times. After watching the video together the group came alive, defining more clearly what they would do in their earthworm experiment. With don Miguel taking the lead, they first agreed to standardize the types and amounts of food they would give their earthworms, so that the results would be replicable. In the video, Bangladeshi women had measured their materials in small baskets. On the Altiplano, most people have a 12-liter bucket, which Miguel suggested that they use instead of the basket. Miguel said that the objective of the experiment was to get humus in one month. In his own, previous experience, it could take four months to get humus, and he wanted to speed up the process. The video suggested mixing cow dung with chopped up banana stems, which are unavailable on the frigid Altiplano. The group kind of got stuck there. Sometimes a little outside facilitation can be useful. I helped them make a quick list of the plant materials they did have, including potato tops—stems and leaves normally discarded after harvest—and various kinds of straw. That was enough to set the group thinking about how to adapt Bangladeshi techniques to Bolivian conditions. Don Miguel seized the lead again and asked each member of the group if they had potato tops. Only two others did, so he then asked how many had green barley straw. 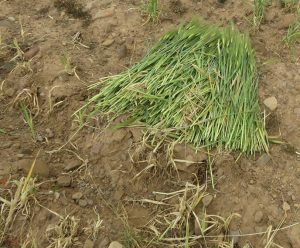 They all did, so they decided that each yapuchiri would make his or her earthworm trial at home with two layers of dung and two layers of barley straw. The video shows making a home for worms in a cement ring, with a floor of sand, broken brick and earth. Even though the yapuchiris had just seen the video, they couldn’t quite recall all of the materials, their order and thickness of each layer. So we watched parts of the video again. Again, the yapuchiris adapted. They didn’t have broken brick, so they decided to use small stones instead, to make an earthworm habitat of sand, with a layer of rock on top, followed by earth, straw, manure, a second layer of straw and a final top layer of manure. One advantage of a video is that farmer-experimenters can review it to recall specific details. One yapuchiri, don Constantino, offered to bring a starter supply of earthworms to their next meeting, so they could all set up their experiments. These yapuchiris have had a lot of contact with researchers. They were essentially organizing themselves so that each one of them would conduct a replica of a standardized experiment. They all live far from each other and they understand that each yapuchiri lives in a different environment, so they decided to take that into account. They agreed to measure the pH of the water (they have pH paper to do that) and the temperature, which will help later in understanding any differences that could be due to these independent experimental variables. The yapuchiris need replicable results if they are going to share innovations with others. By collaborating with researches, the yapuchiris are learning the advantages of the scientific method. The Bangladeshi earthworm video was filmed at sea level, about as far away as one can get from the Bolivian Altiplano (at about 4000 meters). Yet these yapuchiris found inspiration in what they saw and they said that the worm techniques in the video were simpler and more practical than others that they had been taught. This is a direct benefit of sharing knowledge and experience from farmer-to-farmer. Farmers who use an innovation for a few years will simplify it, validate it, and make it practical for other farmers to try, even if those farmers live on other continents. You can watch the earthworm video in Aymara, English and several other languages at www.accessagriculture.org. Our work in Bolivia is funded by the McKnight Foundation’s CCRP (Collaborative Crop Research Program). Thanks to Sonia Laura, of Prosuco, for sharing various insights with me. Por años he pensado que los experimentos de los agricultores eran fundamentalmente diferentes de los ensayos científicos. Los campesinos viven de su cosecha y al probar una innovación por un tiempo pueden decidir cualitativamente si sirve o no. Para los científicos es al revés; los datos son el material precioso que necesitan para escribir sus publicaciones, mientras que el cultivo cosechado es irrelevante. Los científicos necesitan resultados replicables para mostrar que una innovación funcionará en diferentes lugares. Pero a los campesinos les importa menos si sus resultados son replicables en un área grande; solo quieren saber si una innovación es útil en sus propias parcelas. 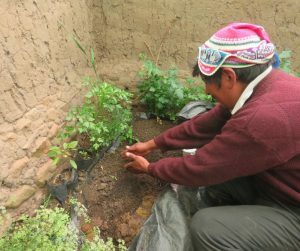 Por lo menos así pensaba yo, pero esta semana pasada en La Paz, Bolivia, vi cómo los agricultores que trabajan juntos pueden interesarse más por hacer experimentos con resultados replicables. Estuve con Prosuco, una pequeña ONG que promueve la investigación de agricultores. La Ing. Sonia Laura, su coordinadora de investigación, me presentó a ocho agricultores experimentadores de todo el Altiplano boliviano. Habían viajado durante tres o cuatro horas desde distintos puntos a través de este frío y árido paisaje para encontrarse con nosotros en El Alto, la nueva ciudad dinámica que crece en las llanuras arriba de La Paz. 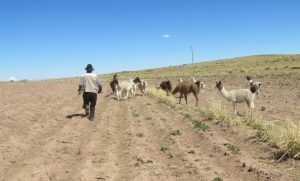 Estos agricultores experimentadores se llaman “yapuchiris”, una palabra aymara que significa agricultor experto. Una red de 70 yapuchiris se reúne irregularmente, intercambiando información, realizando experimentos y enseñando a sus vecinos nuevas ideas (como hacer fertilizantes orgánicos, plaguicidas naturales y la conservación del suelo). El día que nos encontramos en El Alto discutimos algunos experimentos futuros que los yapuchiris podrían hacer. El presidente del grupo, Miguel Ortega, sugirió trabajar con las lombrices de tierra. Él había criado lombrices de tierra, usando su humus durante años para fertilizar sus hortalizas de carpa solar (invernadero). Los otros yapuchiris estaban algo interesados, especialmente porque algunos de ellos ya habían criado lombrices. Hablaron de llevar a cabo un experimento sobre eñ lombrihumus, sin especificar mucho cómo hacerlo. Luego Sonia tocó una versión en idioma aymara de un video sobre lombrices de tierra, filmado en Bangladesh. El año anterior, Sonia les había dado a los yapuchiris un DVD con este y otros seis videos en aymara, español y quechua. Algunos yapuchiris habían visto los videos y otros no. En casa, don Miguel había visto el de las lombrices cuatro veces. Después de ver el video juntos, el grupo cobró vida, definiendo más claramente lo que harían en su experimento con las lombrices. Con don Miguel tomando la iniciativa, primero acordaron estandarizar los tipos y cantidades de alimentos que darían a sus lombrices, para que los resultados fueran replicables. En el video, las mujeres bangladesíes habían medido sus materiales en pequeñas canastas. En el Altiplano, la gente tiene un balde de 12 litros, que Miguel sugirió usar en lugar de la canasta. Don Miguel dijo que el objetivo del experimento era obtener humus en un mes. En su propia experiencia previa, podría tomar cuatro meses obtener humus, y quería acelerar el proceso. El video sugirió mezclar bosta (estiércol) de vaca con tallos de banana picados, que no están disponibles en el frígido Altiplano. El grupo se estancó allí. A veces, un poquito de facilitación externa puede ser útil. Los ayudé a hacer una lista rápida de los materiales vegetales que tenían, incluidas las hojas y tallos de las papas, y varios tipos de paja. Eso fue suficiente para que el grupo pensara en cómo adaptar las técnicas de Bangladesh a las condiciones bolivianas. Don Miguel volvió a tomar la iniciativa y preguntó a cada miembro del grupo si tenían hojas de papa. Solo otros dos las tenían, entonces él preguntó cuántos tenían paja verde de cebada. Todos la tenían, por lo que decidieron que cada yapuchiri haría su prueba de lombriz en casa con dos capas de estiércol y dos capas de paja de cebada. El video muestra cómo hacer un hogar para las lombrices en una argolla de cemento, con un piso de arena, ladrillo quebrado y tierra. Aunque los yapuchiris acababan de ver el video, no podían recordar todos los materiales, el orden y el grosor de cada capa. Así que vimos partes del video nuevamente. De nuevo, los yapuchiris se adaptaron. No tenían ladrillos quebrados, entonces decidieron usar piedras pequeñas para crear un hábitat de arena, con una capa de piedritas, seguida de tierra, paja, estiércol, una segunda capa de paja y una capa superior de estiércol. Una ventaja de un video es que los agricultores-experimentadores pueden revisarlo para acordarse de detalles específicos. Uno de los yapuchiris, don Constantino, se ofreció a traer algunas lombrices para la próxima reunión, para que todos pudieran empezar sus experimentos. Estos yapuchiris han tenido mucho contacto con los investigadores. Se organizaban esencialmente para que cada uno de ellos llevara a cabo una réplica de un experimento estandarizado. Todos viven lejos el uno del otro y entienden que cada yapuchiri vive en un ambiente diferente, por lo que decidieron tomar eso en cuenta. Acordaron medir el pH del agua (tienen papel de pH para hacer eso) y la temperatura, lo que ayudará luego a comprender las diferencias que son como variables experimentales independientes. Los yapuchiris necesitan resultados replicables si van a compartir innovaciones con otros. Al colaborar con las investigaciones, los yapuchiris están aprendiendo las ventajas del método científico. El video de la lombriz de tierra de Bangladesh fue filmado a nivel del mar, lo más lejos que se puede llegar desde el Altiplano boliviano (a unos 4000 metros sobre el nivel de mar). Sin embargo, estos yapuchiris encontraron inspiración en lo que vieron y dijeron que las técnicas de lombricultura en el video eran más simples y más prácticas que otras que les habían enseñado. Este es un beneficio directo de compartir conocimiento y experiencia de agricultor a agricultor. Los campesinos que usan una innovación durante algunos años lo simplifican, lo validan y lo vuelven práctico para que otros agricultores lo prueben, incluso si esos agricultores viven en otros continentes. Se puede ver los videos sobre la lombriz de tierra en aymara, español y varios otros idiomas en www.accessagriculture.org. Nuestro trabajo en Bolivia es auspiciado por el CCRP (Programa Colaborativo para la Investigación de los Cultivos) de la Fundación McKnight. Gracias a Sonia Laura por compartir varias percepciones conmigo.